Use TB7YTW5 to reference this item. 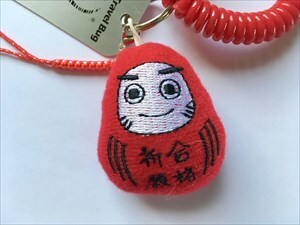 The Daruma Wishing Doll has 2 goals. She wants to travel far and wide around the world. When she is with you, she wants to bring you good fortune and success in your geocaching goals!